Just the thought of flying with a baby on a plane sends some parents into panic mode. There could be bouts of hysterical crying, nappy blowouts at the worse times, and dealing with glaring passengers. 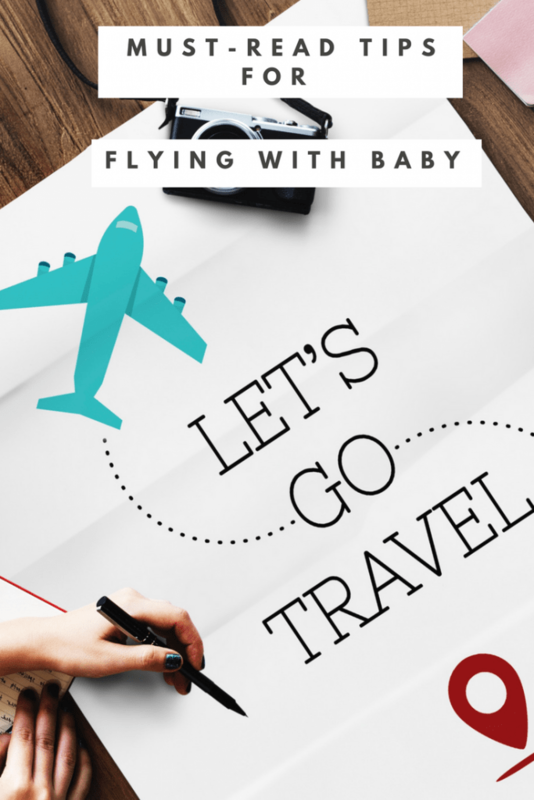 Though flying with a baby requires a bit more planning, it doesn’t have to be a nightmare. In fact, with proper strategies you can actually have a relatively peaceful, non-drama filled flight. Try these tips for flying with a baby to make your next flight with a little one as smooth and relaxing as possible. Whenever possible, try to book a morning flight. Studies show that babies tend to get crankier towards the end of the day. By flying early you will be less likely to disrupt your baby’s sleep schedule and have to deal with a meltdown. Strollers are extremely helpful at the airport; your baby has a place to sit and nap, you can hang all your hand carry on it and you can easily zoom across the airport without the hassle of holding a baby in your arms. Also, you can get the stroller checked in right up to the gate. Just make sure to take a stroller that is light and which folds down easily. If you’re flying with a car seat and stroller, try to find a carseat bag or a travel system that won’t require carrying them! A baby carrier is a great way to free up your hands; your baby will be tucked away in the carrier as you fold the stroller and check it in (it’s also a great way to breastfeed your little one inconspicuously!). If you don’t have a baby carrier, try to take along a backpack; this is another great way to get your hands freed up to navigate your way through a busy airport with a baby. Messenger bags are also a great way to have easy access to your items. Changing your baby’s nappy in the cramped little plane bathroom is challenging- try to get your little one in a fresh nappy before boarding to avoid having to use the plane bathroom (this will work for shorter flights). You must be familiar with the sound of babies screaming their heads off during takeoffs and landings. The change in cabin pressure causes your little one ear pain. While you feed him, the sucking motion helps relieve some of the pain. Once the seatbelt sign is off, you can take a short walk in the aisle with your baby (even if he isn’t fussy yet). You will most probably get encouraging smiles from fellow passengers. The movement and friendly smiles can help to soothe your baby. Author bio: Li Tian is a Midwestern mom turned expat digital nomad. Despite trekking through 54 countries, being a full time and working mom is the most exhausting. When not working on Fulltimebaby.com, she enjoys kickboxing and eating meals bigger than she is. You can follow her on Pinterest, Twitter, or Facebook. These are great tips. I’ve followed most of them when travelling with my son, especially the nappy one. I always had a smaller bag with a changing mat, nappies, bags and Wipes to bring to the airplane toilet. Now it’s got spare pants, trousers and wipes for our son for just-in-case occasions. Great tips. All you can do is be as prepared as possible. A child is going to be a child. Glances or not. Having said that our first flight was a disaster. I’m tirallly with you on the buggy though. It’s the most important piece of airport kit. Great tips. 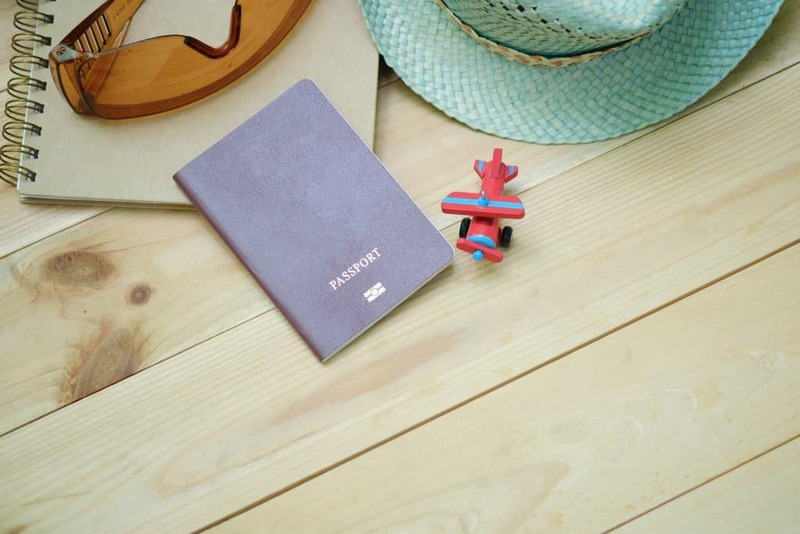 I think you have to cover yourself for pretty much every eventuality, and hope that the rest of the passengers understand how difficult it can be travelling with a young child. Great tips. My only one to add it remember the other end when you get off the plane in many airports you don’t get your buggy until baggage claim so stick a carrier in your hand luggage to help with the walk to baggage claim. My youngest is almost 4 now, but a lot of these tips ring true for when my boys were babies. A sling was my life saver, and feeding them on take off and landing really helped.